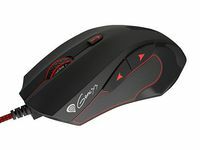 GX44 is a comfortable gaming mouse designed for gaming enthusiasts. Thanks to precise optical sensor AVAGO 5050 with 2500 DPI resolution, characterized by extraordinary precision of operation which ensure comfortable work. 4-level dynamic change of resolution can be done by using only one button through which we can choose the appropriate resolution for us. For each DPI change level can be assign required resolution and one of four backlight colors, which informs the user about the current DPI level. 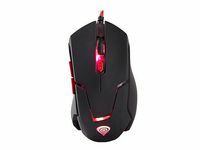 Advanced software allows you to independently configure and program the mouse and adapt it to your needs. The software allows easy programming of 6 keys in which can be assign any actions and activities. High polling rate 1000Hz is a guarantee of short reaction time, that way no lags will ever disturb your gameplay. 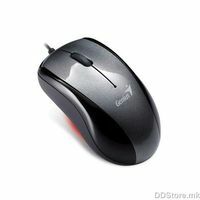 The mouse is equipped with comfortable and most importantly durable Omron switches. Lifetime switches is estimated at 5 million clicks. As a result, you will use the mouse and enjoyed the game for a really long period of time. 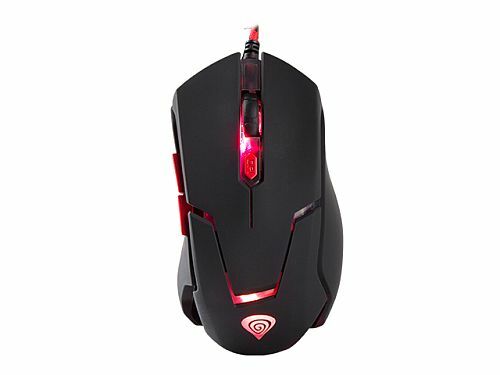 Each player will definitely appreciate the look of the mouse Genesis GX44 and the backlight further emphasizes the silhouette which is perfectly composed with this modern mice. 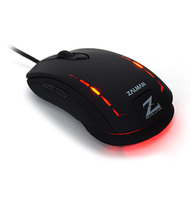 The ergonomic shape and rubberized surface makes the mouse comfortable to each hand. Teflon glides make the mouse moves easily and smoothly on any surface, not tiring the hand. For the manufacture of Genesis products are using high quality materials. In conjunction with the durable cable and perfect fit of components the mouse doing well at all, even the toughest conditions.